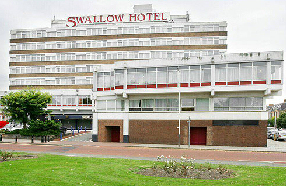 The hotel as 103 bedrooms, spread over six floors with two passenger lifts. There are 18 twins, 42 doubles, 15 executive twin and doubles, 24 single rooms and four family rooms. All are en-suite, have direct dial telephone, satellite TV, wireless internet connection, 24 hour porter and tea and coffee making facilities.